If you haven’t heard, Larisa, my 16-year-old daughter and I decided to “go” organic. It’s been two weeks now and I must say, either I’m forgetting what chemically engineered food tastes like, OR organic food really does taste better! We’ve had pizza, quesadillas, Southwestern Black Bean Soup, Beef & brocoli with Coconut Basmati rice, Newman-Os (Oreos), plus mint chocolate bars. We have not been suffering. We keep looking at each other and saying, “This is the best ___________ I’ve ever had!” And we’re still amazed every time it happens. It happened tonight with white cheddar and green onion quesadillas. Totally delicious. After an exhausting day, Rick and I were home alone at dinner and I decided to go easy and make homemade apple/cinnamon/flax seed oatmeal with blue agave syrup. Again, fabulous. However, while I was cooking, Rick asked for my driver’s license number whilst I was stirring the pot on the stove. No, I do not have it memorized. Being a homeschool mom, I do know my library card number by heart 1110003116554… but not my driver’s license number. So, being the kind wife that I am, I retrieved my wallet from the front room and delivered it to him in the back room… while the oatmeal simmered. “Please put it back in my purse when you are done,” was my single request. Not long after the totally delicious oatmeal was consumed, some of our children returned home. Larisa asked if we could go to the grocery store because we were out of quite a few organic mainstays… like bread and cheese and butter. So we made a list, checked it twice and were out the door. Can you already see it coming???? We shopped for about 40 minutes, taking our time reading labels and comparing prices. Finally we arrived at the check out stand and as the kind checker was flinging our food hither and yon, I realized (out loud, of course) that I didn’t have my wallet. Then I realized (out loud, again) that I didn’t even have my cell phone. So the kind flinger handed me his personal cell phone and I called my dear husband at home. “Remember when I asked you to put my wallet back in my purse?” Yes, he did indeed remember. They have these two black leather livingroom sitting chairs across from the check-out lanes at Safeway with a cozy table between them and a vase full of live roses on it… for sale, of course. I’ve always thought it was odd that the chairs were there. Well, I didn’t think it odd tonight as we sat in them for a half hour. 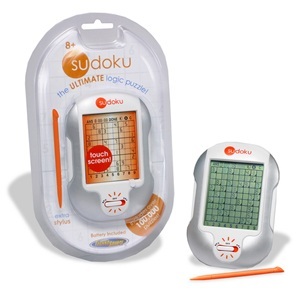 Even though I did not have pertinent purse particulars (wallet and phone) I DID have my electronic Sudoku game! Yes! I did figure out that this was the third time in my life that this has happened. Once in Blumenort, Alberta… the owner let me take home $126 of groceries and return the next day with the money!!!! Once in Safeway in Phoenix… they rolled my whole cart into their freezer and I returned later that day with the money. And tonight, while I sat in the leather chair playing Sudoku until Rick showed up. Three times isn’t that bad…. in 23 years of marriage… and he’s only had to save me once! My knight in shining armor did arrive and save the day and we all lived happily ever after.